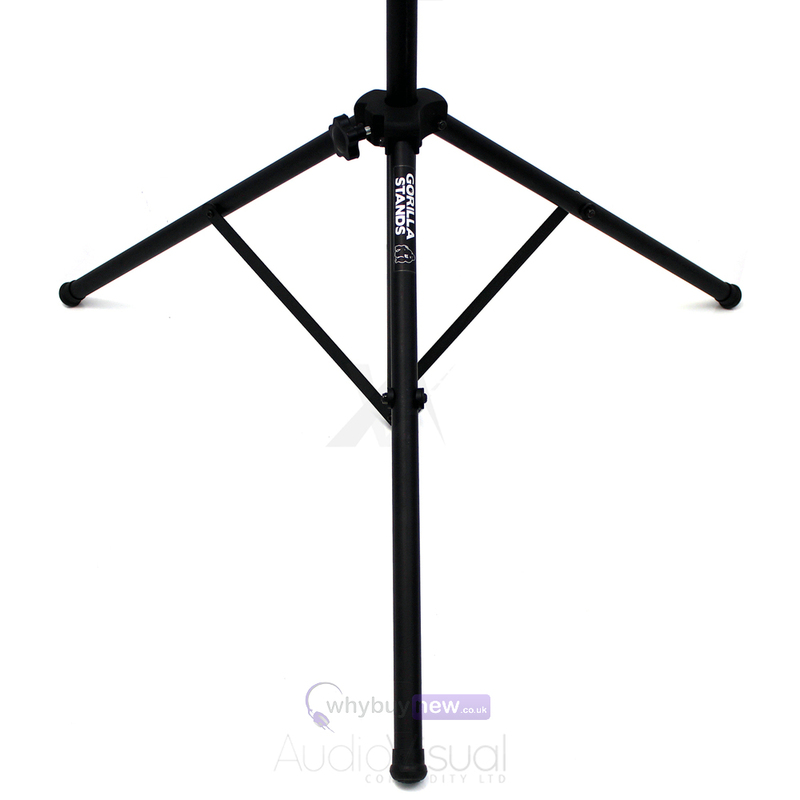 High-Quality, best selling T Bar lighting stand for mobile discos, bands and other live performers, the GLS-100 from Gorilla stands combines quality with value. 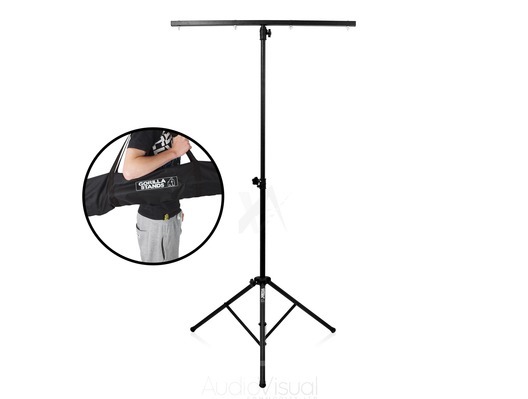 These tough-yet-lightweight lighting stands have plenty of room for four lighting fixtures and are quick and easy to assemble. Built from quality materials, the Gorilla Stands GLS-100 T Bar Lighting Stands offer superb support at a price that is unbeatable. 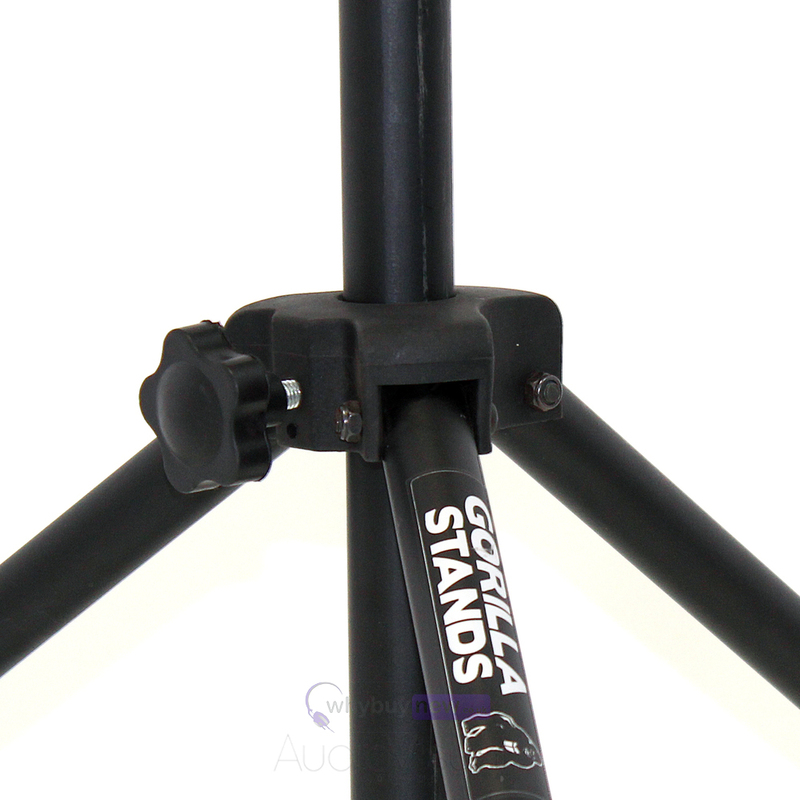 Gorilla stands offer excellent value to the professional performer without compromising on design or build quality or the quality of materials used which is why a LIFETIME WARRANTY is included! 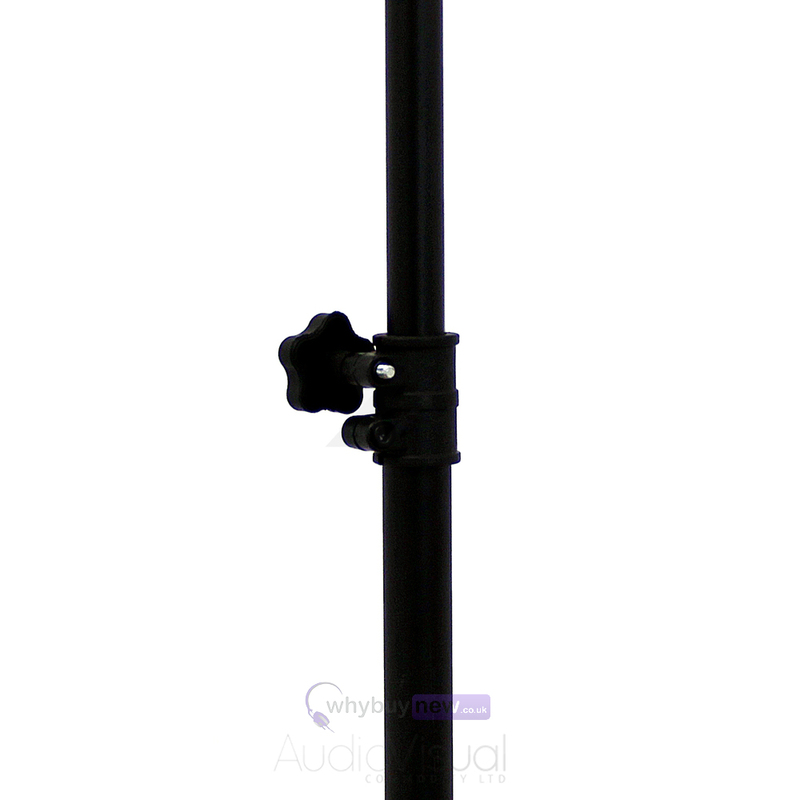 Here we have the Gorilla GLS-100 T-Bar Lighting Stand in brand new and B-Stock condition. The B-Stock versions would have been on display at a training evening or trade exhibition only and will come boxed 'as new' with all accessories and a 1-year warranty. Buy this amazing GLS-100 T-Bar Lighting Stand with confidence and with 100% satisfaction guaranteed or your money back. Excellent Value for Money. Even more impressed with the Customer Service. One unit arrived damaged and a replacement was sent straight away and arrived the next day - Excellent !! A great stand, sturdy construction and very capable of holding 4 lights. Arrived with a broken thumb wheel, however, a quick call to the enclosed customer service number and that was sorted. Great stand for a great price. 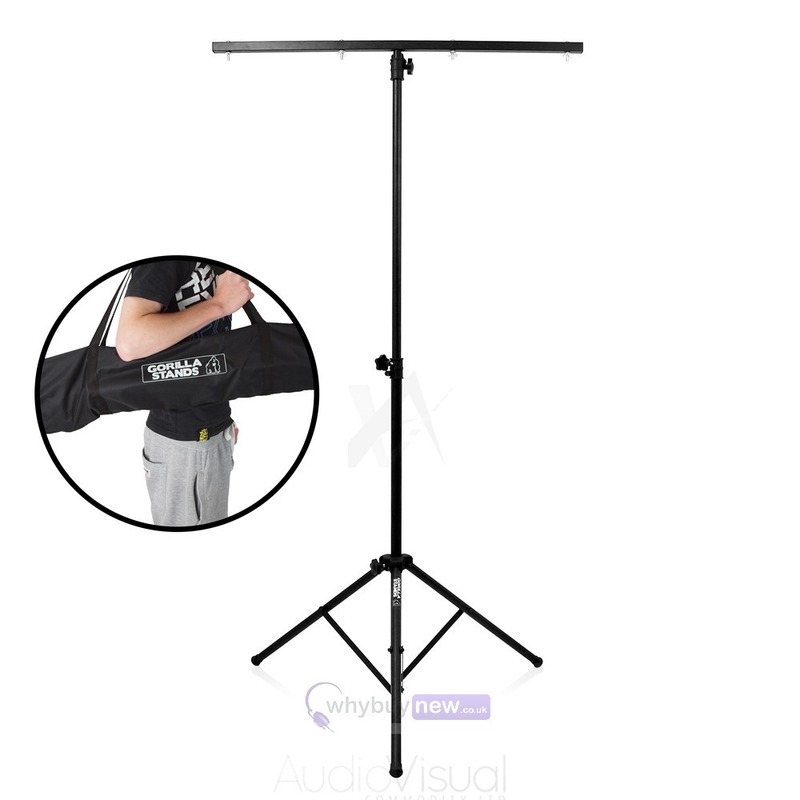 This stand is perfect for smaller lighting units such as spots, par cans or uv's. Really happy with mine! A great stand, it's quick and simple to put up and i was surprised at how many lights it can actually hold! A great purchase! Thanks whybuynew! The stands arrived in good time but are only really suitable for 2 lights rather than the 4 lights or 25kg they are designed for. That is because even with the legs fully extended the stand can become unstable. The upside is they take up little space in the car and are lightweight. The stand arrived very quickly and well packaged, the downside was the top thumb wheel was broken on the edge, I would normally have sent it back, but I needed it that weekend. Good value for money otherwise. Really pleased with this, first one that arrived was broken but WBN simply sent a replacement with no fuss. Sturdy, solid construction. The stands are excellent value for the money and I would not hesitate in recommending them, unfortunately the last lot I ordered had two of the plastic tightening knobs broken, although I think this could probably be put down to the handling by the courier. Great - does the job perfectly, and much sturdier than it looks in the photos. Next day delivery too. Absolutely Brilliant. Very Sturdy. Better than I expected. Built to a very good standard. Would highly Recommend. I own a Velbon Tripod and this Unit is in the same league. Value for money.......You Bet.... Try and find a better one for the money..... How do they do it??? ?....Ask a "Gorilla !!! !